But I try to limit posts to reasonable reading lengths. A 10,000 word essay, refreshed from my college days, would not go over well with the TLDR crowd. 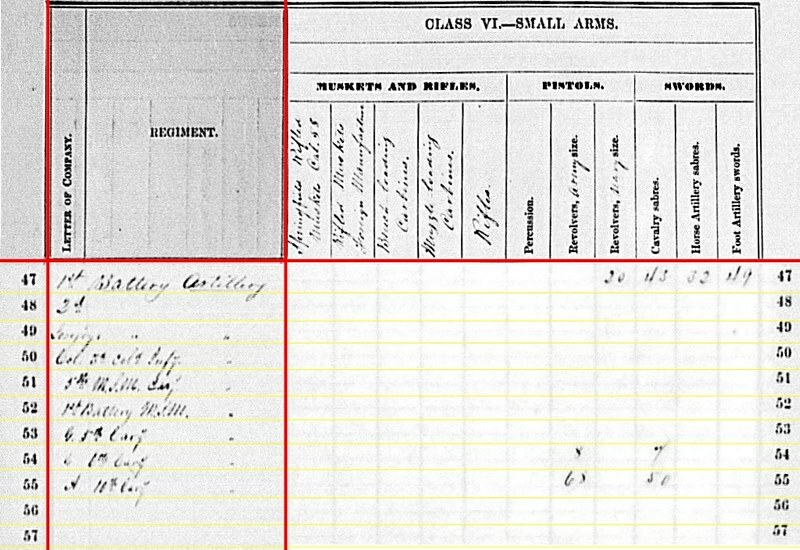 Some topics, like the twenty on one artillery duel, will show up at a later date. But if you are feeling guilty about not knowing much about Westport, let me offer the Battle of Westport Visitor Center page offering battle overview and tour routes. You can do some touring “virtually” by photos on Civil War Album’s page for Westport. 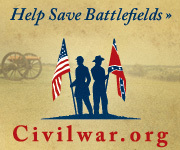 There are events going on this week to recognize the 150th of the battle. And some battlefield artifacts are on display at the visitor center. This is the second of the paintings, commissioned by the state, from N.C. Wyeth. I discussed the first back in 2011. Again, I’m no art historian. So don’t expect me to critique the style here. I’m looking at this as how the history is portrayed and interpreted. I would point out, when delivered in 1920 the two Wyeth paintings served as “bookends” to the story of the Civil War in Missouri. See how hazy and foggy Wilson’s Creek is? On the other hand, we see blue skies and just a small cluster of clouds at Westport. So does that indicate the war, like the haze which Wyeth used often in his Civil War illustrations, was clearing at Westport? Maybe, but that’s getting too much into the artist’s head for me to say. What I would draw your attention to are the authority figures in the paintings. 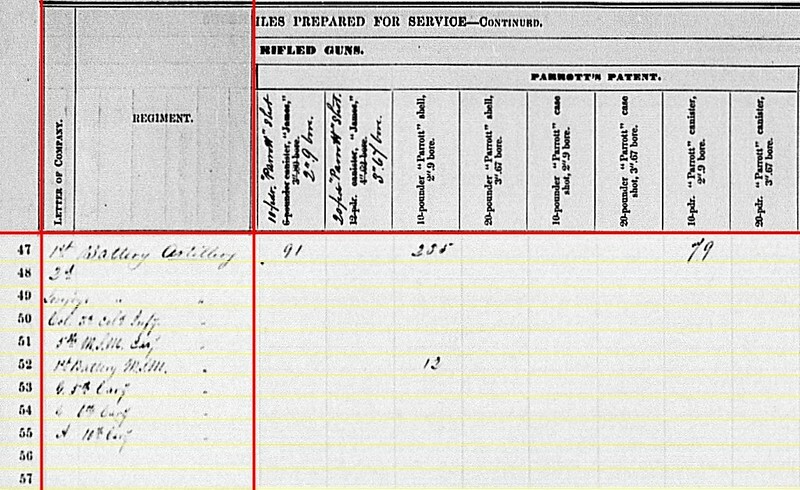 For Wilson’s Creek, we see a gray clad figure which most interpret to be Price. But we see no corresponding Federals. Look at the Westport painting for the counterpoint. Who is that fine officer leading from the front? Colonel John F. Philips, 7th Missouri State Militia Cavalry, who commanded the First Brigade of Major-General Alfred Pleasonton’s provisional cavalry division at the battle. 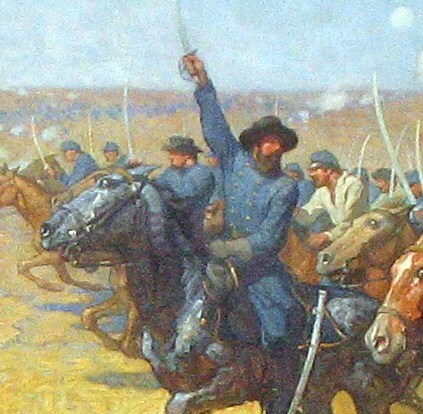 Just to his right (seen between Phillips and the horse’s head) is Lieutenant-Colonel Thomas T. Crittenden, another prominent officer of the 7th Missouri, leading the regiment in the battle. Never heard of those guys? Then let me offer some back-story. 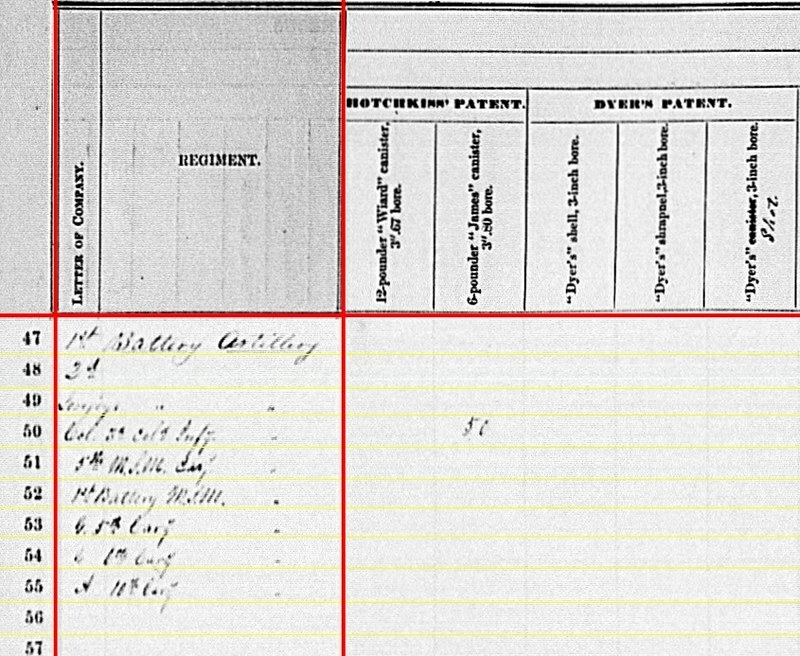 Philips was not in command of the brigade in the morning of October 23, 1864. Brigadier-General Egbert B. Brown, then in command, had orders to move his brigade up and push the Confederates at the Big Blue River near Byram’s Ford. But due to the need to resupply the brigade and other difficulties, some of which Brown should have attended, First Brigade was not in position and was not pressing the enemy as Pleasonton wanted. Not wasting any time, Pleasonton relieved Brown and put Philips in command. Philips immediately began pressing his dismounted skirmishers forward. With “great difficulty and attended with some delay, in consequence of the egress from the creek having been obstructed,” the brigade gained the west bank of the Big Blue. This opened the door for other elements of Pleasonton’s command to get across. 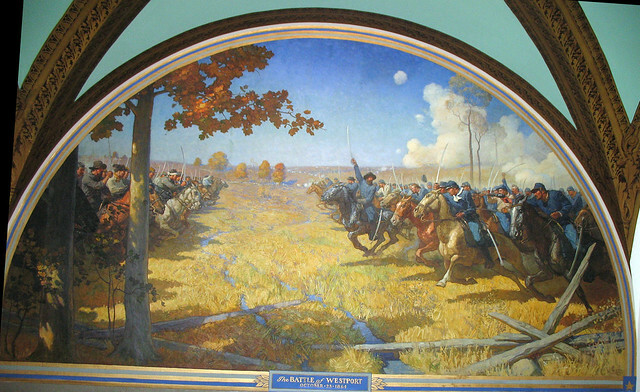 At that point in the battle, Price was fighting Major-General Samuel Curtis’s Federals to the north, in front of Westport. With Philips leading, Pleasonton forced Price to fight on two fronts. One mile brought us in view of the enemy formed on the prairie. After some maneuvering we advanced on a line at right angles with the old military road, leading from Westport to Fort Scott. 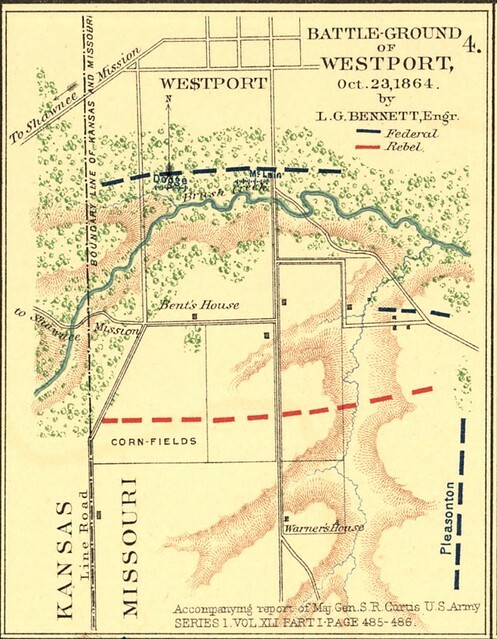 It was discovered that that portion of the enemy’s force which had been engaged with General Curtis at Westport, in the forenoon, were falling back, making a connection with the force in our front; Sandborn’s brigade coming upon our left a charge was ordered by the major-general commanding, and our entire force was hurled upon the enemy in open prairie, routing and scattering him in indescribable disorder, killing and wounding many and taking many prisoners. That charge was the object of Wyeth’s work. The Confederates on the left were those of Major-General John Marmaduke’s division, the majority of whom were Missourians. So the subject captured Missourians fighting Missourians. Let me stress again the identification of the leaders in the Westport painting. Both men were war Democrats. After the war Philips had successful political and legal careers. He was elected as a representative to the US Congress, defended Frank James in a murder trial, and sat on the US District Court bench for twelve years. He died in 1919. Crittenden left the service shortly after the 1864 campaign to take the post of state Attorney General. He also served as a representative (sort of splitting time from the 7th district with Philips). But his postwar path lead to the Missouri Governor’s mansion in 1881. Tying in with the James Brothers theme, as governor Crittenden authorized a reward for their capture, leading to Jesse’s death and Frank’s trial. Incidentally, Crittenden was succeeded in office by Marmaduke in 1885. After his term as governor Crittenden served as US Consul General in Mexico City in the mid-1890s. He died in 1909. Both men, prominent politicians in the post-war state, represented the transition of the state from the war into uneasy peace and thence towards a time when the war’s scars healed. I think one has to view the Wyeth paintings as a set in order to grasp the nature of that transition – 1861 to 1864; Price to Phillips/Crittenden; haze to clear sky. But the common thread is Missourian fighting Missourian – one that would be reinforced over and over in the public mind throughout the generations.